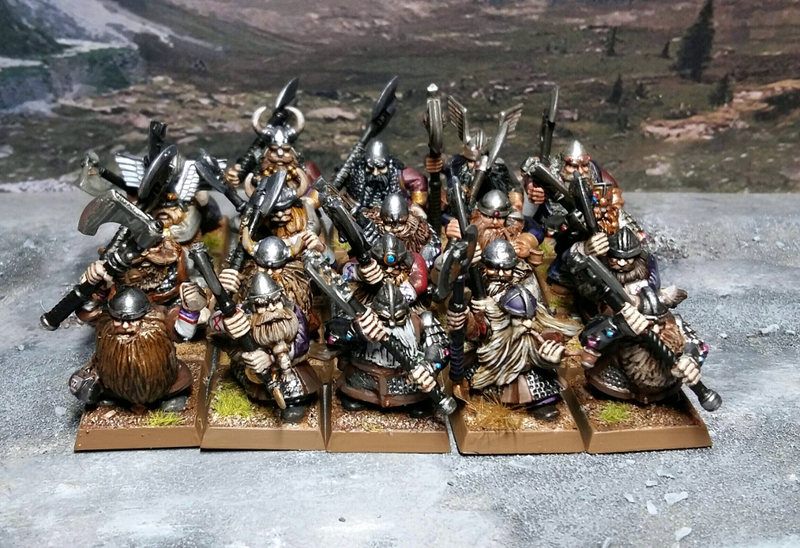 20 Warriors completed - next I will start to work on Belegar Ironhammer, which is my entry for the single model painting competition currently running. Thanks! I also felt that darker colors for the armor trims etc. was a right choice as the red/purple colorscheme tends to contrast better with them.